Adriana Lima is sitting on the couch at the back room of the Sunset Tower, partly hidden from view—my eyes have to adjust to the dim space before finding her. But then, with a flash of her denim-blue eyes and a toss of hair—jet black and unbelievably shiny—she stands up to greet me, and it’s like watching a phoenix (clad in sequined pink-and-black F/W 16 Marc Jacobs) unfurl its feathers. She smiles; the room lights up. It’s not hard to understand why Lima is constantly proclaimed as one of the most beautiful women in the world, if not the most beautiful. But history has proven the public’s favor is fickle, ebbing and flowing more quickly than you can say “Taylor Swift.” Yet somehow, against the odds, she has remained one of the most drooled obsessed-over and followed (in social media terms, though paparazzi love her too) models in the industry for over a decade. Normally, this is the part where you’d say it’s because she’s secretly relatable—but Lima, with her lithe limbs (even after two babies) and otherworldly features (her bone structure defies explanation), is clearly not. So perhaps it’s the fact that she can seduce with a glance but also be vulnerable—she’s warmer in person than her Instagram photos and sultry public persona might suggest. She laughs openly, shows dismay (at least in relation to her children growing up too fast), and gets really fired up when talking about… food (what else?). 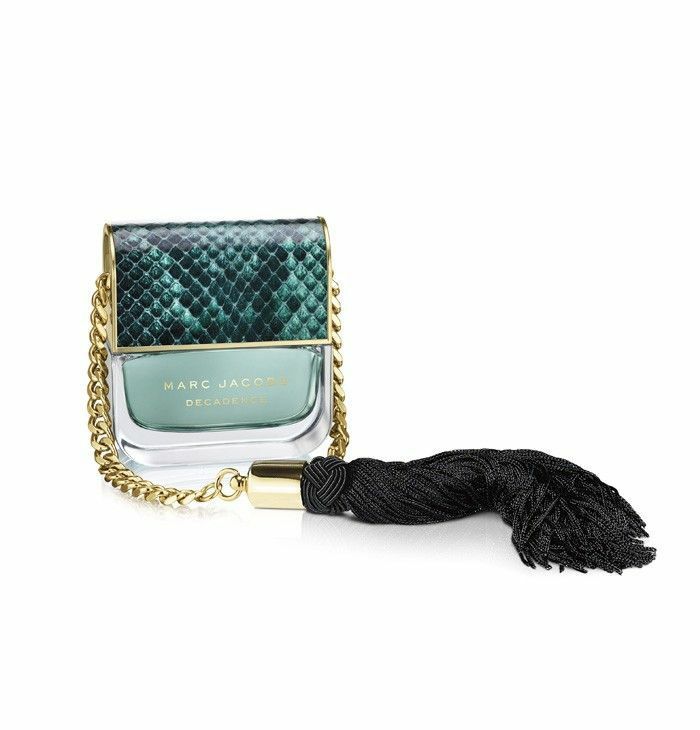 She’s both alluring and slightly closed off, so it’s no surprise why Marc Jacobs has chosen her to front the campaign for his new fragrance, Divine Decadence ($97), a sparkling, heady blend of gardenia, hydrangea, and vanilla. “I would wear it anytime, anywhere—it’s like that luxury you want all day,” she purrs. Soon afterward, we are back on my phone, where she is intent on finding a photo of the magical green tea cake. A model who loves food—from someone else, it might inspire a tired eye roll, but Lima’s fervor seems genuine. Don’t believe me? Keep scrolling to get to know Adriana Lima, as told by Adriana Lima. “I usually wake up at 7 a.m. The first thing I do is check Instagram—I check it for, like, one minute, and that kind of wakes me up. Then I put sunblock on. I like Sun Bum—I love the smell, it’s not so thick, and then I love the packaging, too. After that, I get my workout clothes on, go see my girls and get them ready, and drop them to school. Then I go to the gym. “Boxing—it’s my passion. [I’ve been doing it for] over 10 years. I wanted to live long, and I knew that [ever] since I was young, I needed to take care of myself, so I started trying different types of workouts. I wasn’t sure which one—I tried everything until I found boxing, and I fell in love with exercise because it’s always new. It can get boring until you find something you love. I can kick some butts if I want to. I like to go to Aerospace—it’s my favorite gym in New York City, and that’s where everything started. “After that, I am either with friends or with family and I go take a walk. I live in Miami, so I go to Lincoln Road, I take a walk, I check different stores—I go to a bookstore, for example. One of my favorites books is The Power of Now. “I can make food for myself, but I’m very lucky because at home I have an amazing chef, and he cooks for me and my children. But also I like to step out, and I can go to a Brazilian restaurant, or Japanese restaurants a lot. Makoto in Miami is one of my favorites. I really love it; it’s right in Bal Harbor. My favorite Brazilian spot is called Bottega, also in Miami. In New York I have one too that’s called Berimbau—it’s an instrument of Capoeira, and that’s also the name of the restaurant. What I order really depends. It can be rice and beans, or it can be something from my hometown, Moqueca, which is like a fish stew, and it’s cooked with coconut milk—a little spicy. “I love seafood. I eat a lot of that with vegetables, green vegetables, corn salad. My children love crêpes in the morning. I make amazing pasta—lasagna. They love when I cook beans. I learned the recipes from my mom and grandmother. I have many signature dishes, but I think my favorite one would be the traditional Brazilian feijoada, which is beans. And actually every Sunday we have family time—I cook every Sunday for the whole family and I have a get-together. It’s like a family tradition. My favorite decadent dessert is from Lady M.—it’s a multi-crêpe and very creamy. “At night going out, I love to wear red lipstick and mascara. That’s my signature look. Maybelline Matte Colorsensational Lipstick ($5) in Siren in Scarlet is my favorite. I also use Maybelline The Falsies ($6) mascara. I like the lashes thick—I love it. “I’m super fast at getting ready, especially with children. Like, 30 minutes, I’m done to go out. If I am not going out, I only need 10, 15, or less. Super fast! “My facial person in Paris; his name is Herve Herau. I usually cleanse my face and apply a serum and then right after that a lotion. And I love his products because everything is organic. For my hair, the secret is to work out—that will grow the hair because … it will activate the circulation. The more I work out, the faster it grows! I also love oils—coconut oil, and almond oil, but only from Brazil. It’s the only place I find it. Shop the new Marc Jacobs Divine Decadence fragrance below! What would you ask Adriana Lima? Sound off below!